– every action taken can be logged, you choose the log filename and dateformat. Usage is very simple, since the class is well written and documented. Names of methods are understandable, in addition we attach a file with usage example. 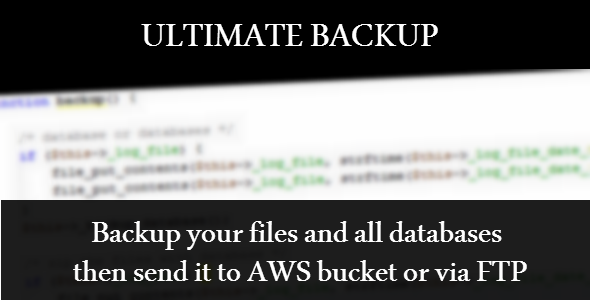 This entry was posted in Uncategorized and tagged aws, backup, database, feeds, forms, ftp, media, php, s3, scripts, sliders, zip by Acty. Bookmark the permalink.